The screening will be preceded by a drinks reception hosted by the Sports Journalists’ Association and followed by a Q&A with the directors. Please note the revised screening time. This will both allow time for the drinks reception and for patrons to find their way to the Cinema through the traffic and pedestrian diversions for the Pearl Izumi cycling event. We thank the Sports Journalists’ Association for their help in arranging this screening, and for sponsoring the drinks reception. 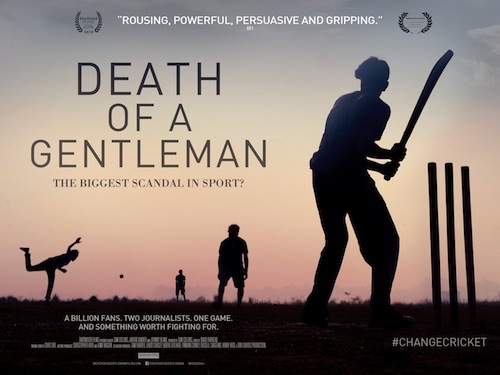 In this acclaimed sports documentary, two cricket journalists and lifelong fans (Collins and Kimber) set out to discover who in the cricketing world is prepared to save Test cricket, the ‘Gentleman’ of the game. 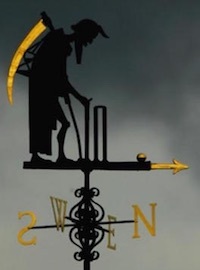 Travelling the globe to talk with players, broadcasters, journalists and administrators, they find that there is still great enthusiasm for Test cricket – personified by Australian Test debutant Eddie Cowan – but also uncover a story of deceit, incompetence and greed. The same paper’s sports page offers a longer discussion of the film and the issues it raises. Click on time to book tickets.